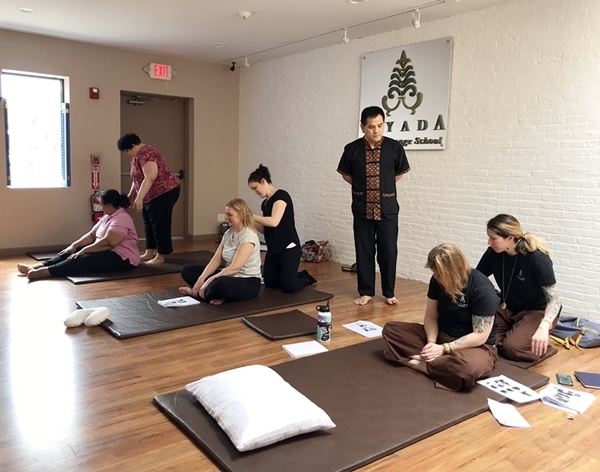 $280, 2 days, 14 CE hours This intensive level course introduces students to the philosophies and foundations of Traditional Thai Massage. Registration: Click here to register online! Learn fundamental techniques for legs, arms, hands, back, shoulder, neck and sitting positions. Proper body mechanics and transitions between techniques. Knowledge of safe practice, cautionary areas and contraindications to Thai Massage. Upon completion students will be able to perform 60-90 minute Thai massage over the entire body.